Home/Shop Wedding Jewellery/Bracelets/Faith bridal rosary bracelet with double chain. 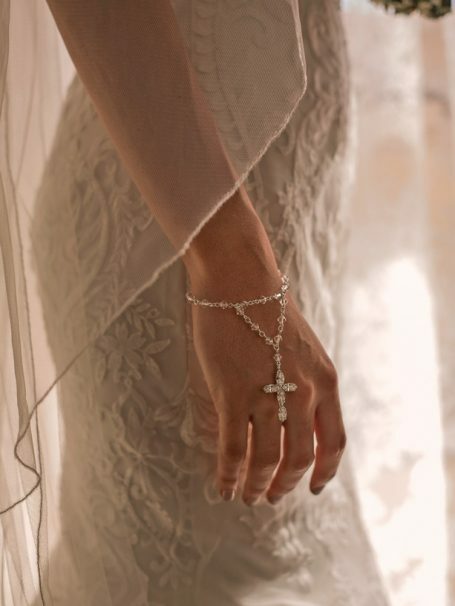 Show your Faith with our bridal rosary bracelet, subtle sparkling crystals and unique diamond cross. A jewellery piece that will be cherished for generations to come. The Faith bridal rosary bracelet. With our first Faith rosary bracelet being our best selling piece, I though let’s confuse people a little and do some new versions! This Faith bridal rosary bracelet is very similar to the first version but has a double chain leading the cross. 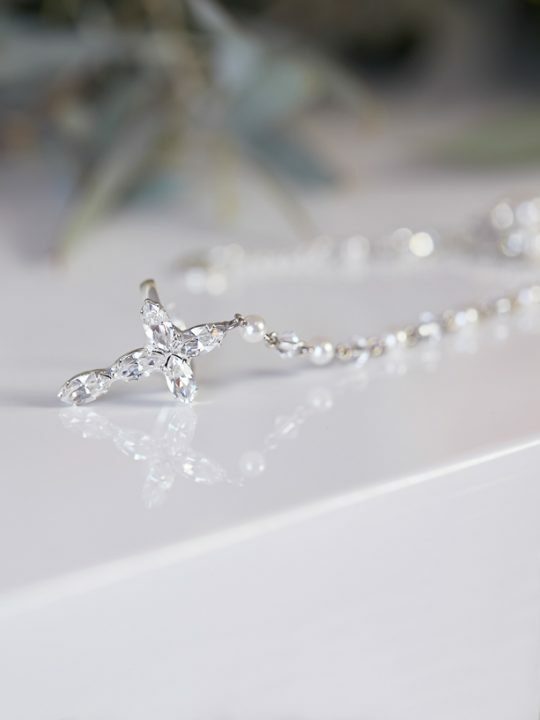 Made from Swarovski crystals and five marquise cut diamonties, the cross feature is unique to us as its completely made from scratch and is soldered together to form the cross. 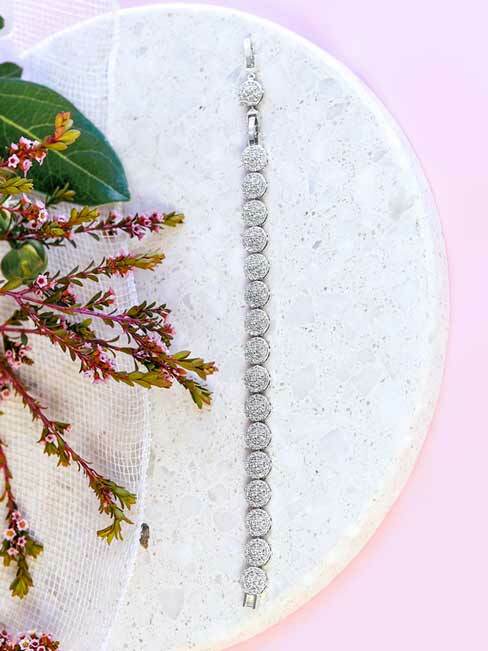 Our bridal faith rosary bracelet come’s in the most gorgeous silk pink box that will keep your bracelet and memories safe for many years to come. 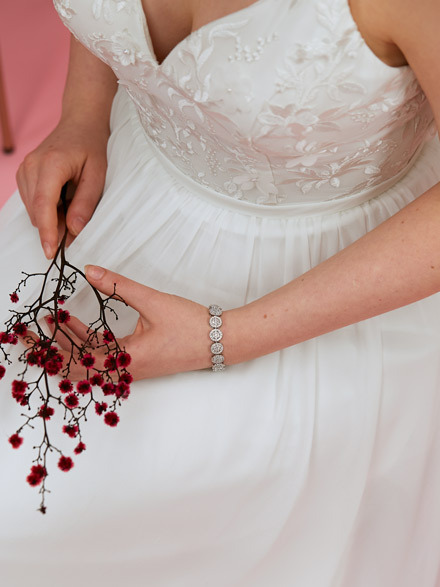 Match with our Faith wedding earrings to complete the look, or to make the bracelet a feature piece wear simpler earrings like the Bendigo bridal earrings to compliment your style. *If you have trouble with bracelets being a bit small its ok. We can custom made a bracelet for you with extra length, just allow 4 weeks. Images by to Have and to hold wedding photography.